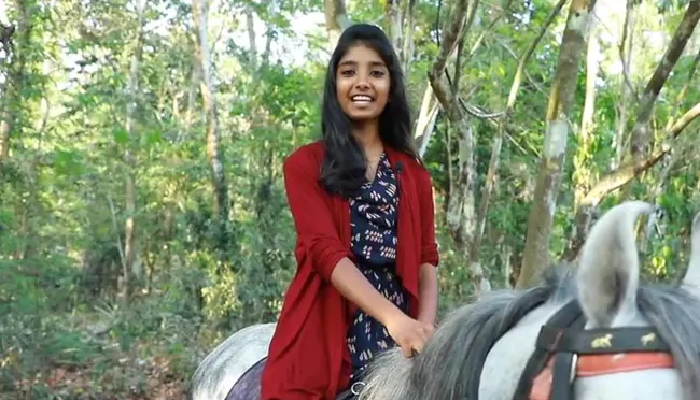 Remember The Kerala Girl Who Rode A Horse To Class-10 Exams? Here’s Why She Did It! 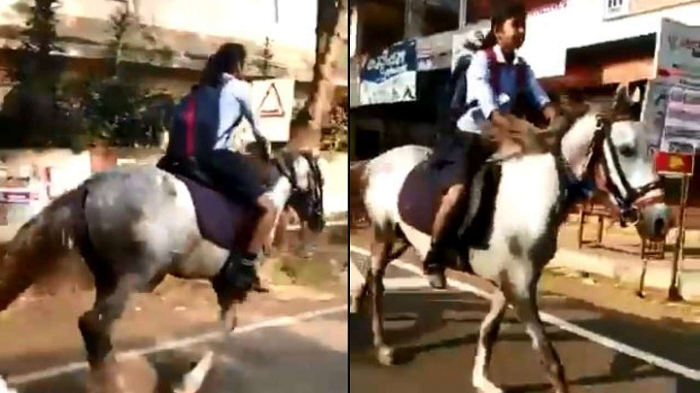 Recently, a girl from Kerala had become an online sensation overnight after a video of her riding a horse on her way to give Class-10 board exams went viral. People of the internet were cheering for the girl and even Anand Mahindra, Chairman of Mahindra Group, became a fan! While we were mighty impressed by the girl’s badassery, all of us wondered in what circumstances did she choose to travel by such an unusual means of transport. But we didn’t have to wait for long to find an answer! According to News18 reports, the girl, Krishna, started horse riding when she was in class-7. She got the idea after one of her friends told her that riding a horse isn’t “that easy” and it’s especially not something that girls can do. The friend added that only women like Jhansi Ki Rani can ride a horse well. That got Krishna wondering why people think horse riding is not for girls. Soon she found herself wanting to bust that myth by enrolling for horse riding classes! While there were several positive reactions on seeing the viral video, there were also some who were criticising the act with concerns of road safety and the horse’s health since it was made to walk on asphalt roads. Krishna cleared the air saying that she only takes her horse out for a ride on “special occasions”. “I do not go daily on horses. Only on some special days, or when I get bored or on some exam days also, I ride on a horse to school. If you ask me what was special on that day that was the last day of my Class 10 board exam,” she said. It just makes our day watching a girl breaking the glass ceiling. Gone are the days when girls had to wait for a prince charming riding a horse to come and save them. Now, they have taken on the horses themselves!